In this Wednesday, on July 22, at Spīķeri you are welcome to enjoy the bass virtuoso Anton Gorbunov and the quartet musical performance, especially Spīķeru made for the Spikeri open-air concert. The event will warm-up DJ set, in collaboration with the Riga DJ school. 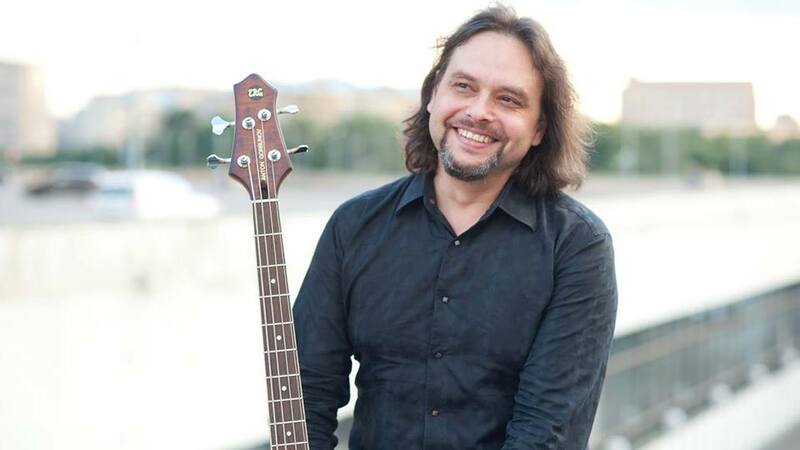 One of the best Russian bass players – Anton Gorbunov, is well known in the musical business as the person who can work in a variety of styles. He worked with well-known artists: Vladimir Kuzmin, Valery Syutkin, Linda, «Marimba Plus», «Trans Atalantik”, Igor Boyko, Anatoly Gerasimov . Anton is the author and composer of their own projects «Galeo»: Released in 2003, the album “Idea fix», «Day of Creativity” – the album “Sun-Moon” and contemporary original trio «Bass Magic». Participant of many Russian and international festivals: Bass day 2006, 2007, 2010; Eurobassday 2007; “Jazz – Globe” festival in Jerusalem, “Manor Jazz Festival» 2012 and others. At a concert in Spikeri Kvartals “Anton Gorbunov Quartet” will present original fusion/funk/jazz-rock programm with the participation of leading Russian jazz musicians : Anton Zaletaev (saxophone, flute), Vladimir Golouhov (vibraphone) and Pjotr Ivshin (drums).